The accessories and the blissful expressions say it all! Acquired in a flea market in Singapore twnty years ago and now sits prominently on a camphor chest giving us goals to work towards! These are wonderful! 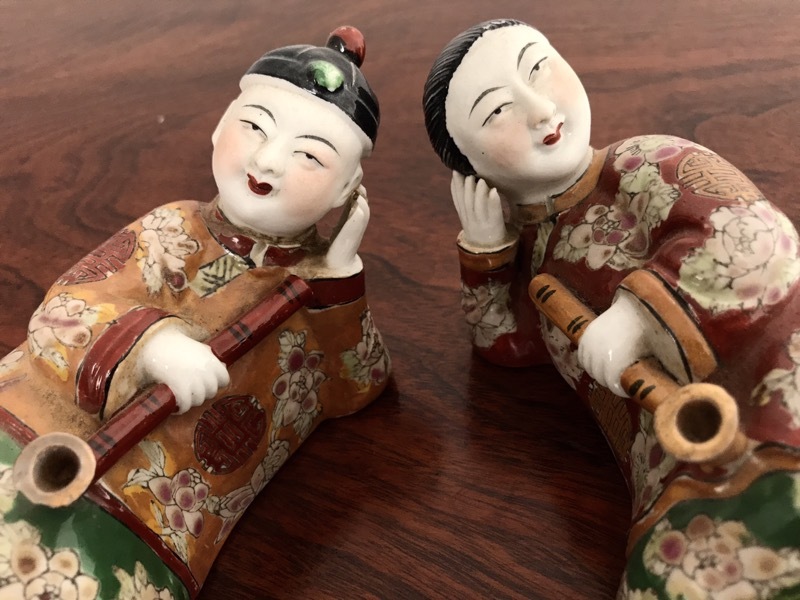 Are those opium pipes they are holding? I love the pattern on their trousers. 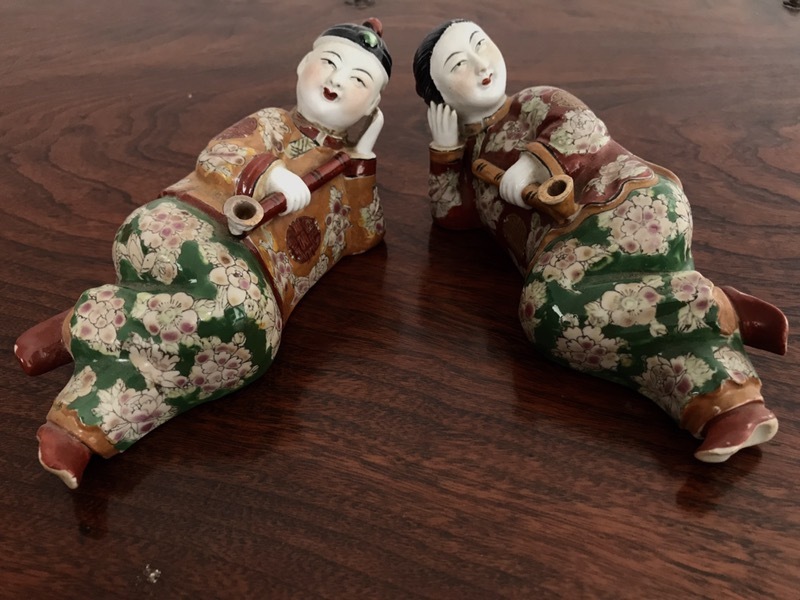 This entry was posted on September 3, 2018 by wovensouls in Art Kaleidoscope and tagged art, bliss, ceramic, china, contentment, culture, herbal, herbs, lifestyle, moksh, Nirvana, peace, retired, retiree, retirement, travel.